Today’s young enterprise pupils are tomorrow’s entrepreneurs. 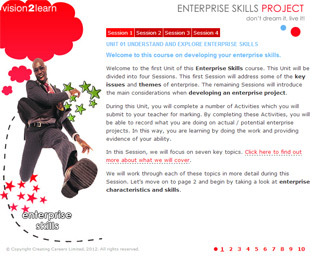 This course helps to empower and enable pupils to have enterprising ambitions. It gives them the determination and drive to make ideas happen. They will have the opportunity to plan and carry out an enterprising project, reflect on the experience and make plans for future development. In this course, there are 3 units for learners to work through. Understand the importance of good financial control. Understand how to maintain effective relationships. Make a plan for future development.